Contaminated dead hard drive data recovery is always one hot topic and hot potato for all data recovery engineers because data recovery engineers can charge a high price on these cases but the success rate is low and to get lost data from these dead hard drives is very time-consuming. 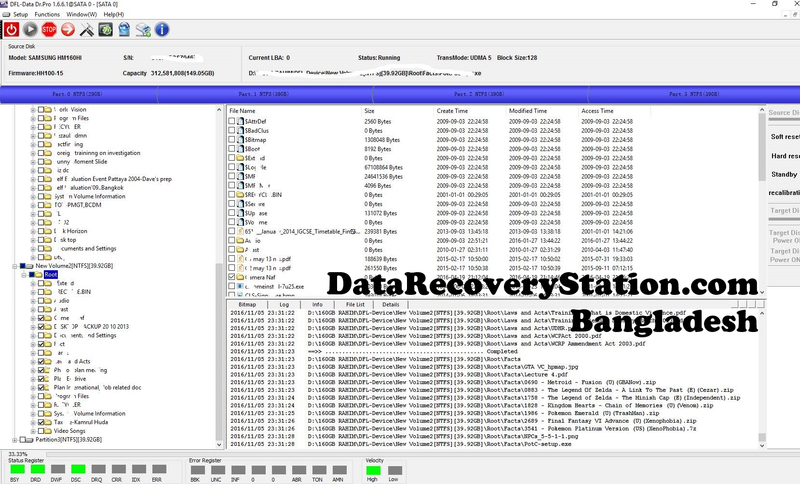 This case is shared by Dolphin Bangladesh sales and support center-Data Recovery Station and they have successfully recover the lost data from one very dirty contaminated hard drive using Dolphin data recovery tools. It is one Samsung HM160HI hard drive, when the clean room engineer opened the patient drive in clean room, most of the inner physical components are contaminated and many engineers just simply give up on such kind of cases but Dolphin Bangladesh data recovery engineer was moving forward with confidence. For such kind of contaminated hard drives, the engineer found one donor hard drive of the same model ID, with same physical structure, thickness, weight, etc. 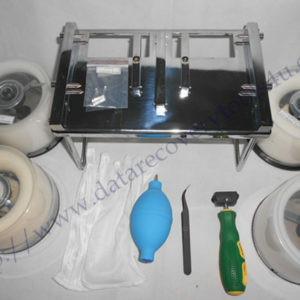 The engineer didn’t use the original patient hdd enclosure cause’ it is too dirty, the engineer removed the platters and cleaned the platters with air-blower and IPA and then installed the platters to the donor hard drive with donor heads. For this case, the donor heads didn’t match well and it was clicking for some time and then the engineer cleaned the original heads and put the original heads to the donor drive. The drive got ready and IDed immediately within the DFL-DDP data recovery program. The engineer went to the DDP file extraction module and all the partitions and folders and files could be amazingly listed directly. 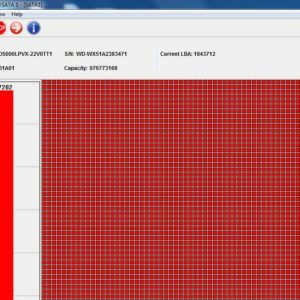 The engineer selected the most important files to be recovered first and then tried to recover all the data and over 95% of the data inside the drive was recovered.